Mt. Bachelor | Mt. Bachelor | Ecosign Mountain Resort Planners Ltd. The Mt. 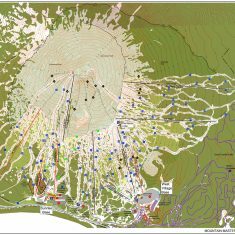 Bachelor Ski Area is nestled in the Cascade Range of central Oregon, 22 miles southwest of Bend, Oregon and approximately 160 miles southeast from Portland. The Mt. 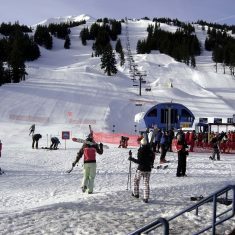 Bachelor Ski Area is located in the Deschutes National Forest in Deschutes County and operates under a special use permit through the USDA Forest Service. Since 1985, Ecosign has prepared several Master Plans for Mt. Bachelor. 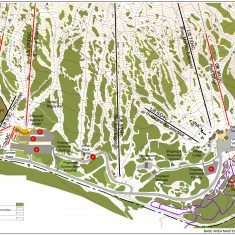 In March of 2010, we completed our most recent report – Master Development Plan which was accepted by the US Forest Service in late 2011. 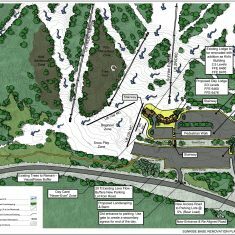 Once approved by the Forest Service, The Master Development Plan will be constructed over an extended period of time in several stages, therefore, it is necessary to have a complete understanding of the total project at build-out and in each separate phase, so that facilities can be balanced and capital invested effectively. The objectives of the Mt. Bachelor ski area mountain development plan are as follows: optimize the utilization and operational efficiency of the existing physical plant; balance lift and trail capacities wherever possible; provide base staging facilities in balance with mountain access and capacity requirements; continue to increase the quality of the facilities to meet the ever-increasing expectations of the local and destination skier markets; increase the quality of the beginner facilities and terrain; and provide other recreational activities for year-round utilization of the facilities. Each phase of improvements should provide an optimally balanced facility, while at the same time, move towards the ultimate goal. Also to define goals and projects to guide management and inform public agencies during the ensuing 7 to 10-year period. Since environmental stewardship is of the highest priority, all facilities and activities, both summer and winter, will be located, constructed and undertaken in an environmentally sensitive manner.